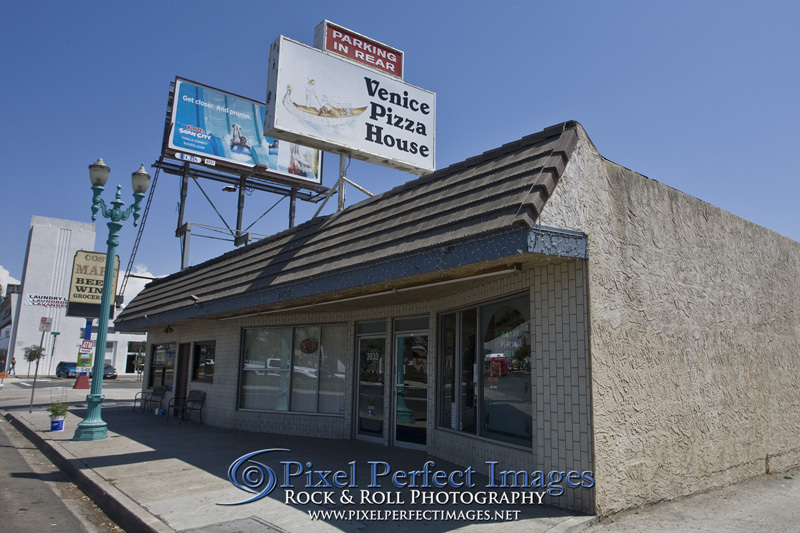 Venice Pizza House has had a place in my heart since my mom started taking us there as kids in 1968. Back then, Venice was in the building across the alley that now houses a nail salon, and dinner’s out (even pizza) were reserved for special occasions. Venice’s history began in 1954 by Sam & Prudie LoMedico, and is still family owned, though I think current owners Joe and Mar have handed day-to-day operations over to their kids. While in high school, my friends and I would regularly have “pizza nights” at Venice, and whenever I would start dating a new girl I would bring her there. The idea was, if she didn’t love Venice, we probably wouldn’t get along that well! As I grew older and had my own children, I made sure they got to know and love Venice as much as I did. After moving to Carlsbad in 2005 though, I find it harder to get down as often as my taste buds would like. After much complaining by my taste buds, I decided a proper trip to Venice was in order so I called my good friend Debra to see if she was up for an adventure. She was, so off we went. There is nothing fancy or pretentious about Venice Pizza House, no dress code, no Maître d’, just good honest food like your Italian grandmother would make. Damn, I wish I had an Italian grandmother! Venice Pizza House is known for their pizza, after all, it’s in their name. They wind up at, or near the top of every major local poll when “Best Pizza” is discussed. Seeing as how Debra is more of a “veggies and greens” girl, and I’m more of a “meat and potatoes” guy, we settled on a cheese pizza 🙂 The pizza has the most delightful, flaky crust and Venice’s own special pizza sauce. Just the right amount of garlic and tomato, perfectly proportioned and topped with an abundance of cheese. And since I don’t get down this way much anymore I wanted to bring home some leftovers, so I ordered a couple of pasta dishes to go with it. Yes, the pizza is world class, but my heart truly lies with their pasta dishes and Manicotti is my go-to dish. Rather than stuff pre-formed noodles like most Italian restaurants, Venice uses fresh made crêpes for their 5-cheese stuffed manicotti. 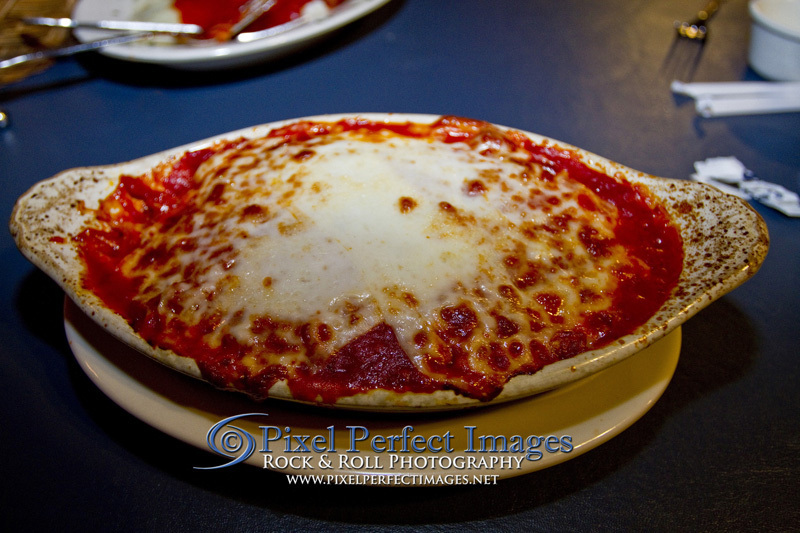 Each order is prepared individually and served with your choice of marinara or meat sauce (their sauces date back to Sam LoMedico’s original 1954 recipes), then topped with mozzarella and baked to arrive just short of molten lava temperature! Add a couple slices of their awesome garlic toast and a glass of iced tea and I’m in heaven. Melt in your mouth, cheesy goodness. And special kudos go to Crystal, our server. She’s been serving my family since my kids were babies and she always greets us with a smile and knows what we like. She keeps our iced tea and water glasses topped off without ever having to ask, knows when to come see if we need anything else, and is just one of the most pleasant servers ever. 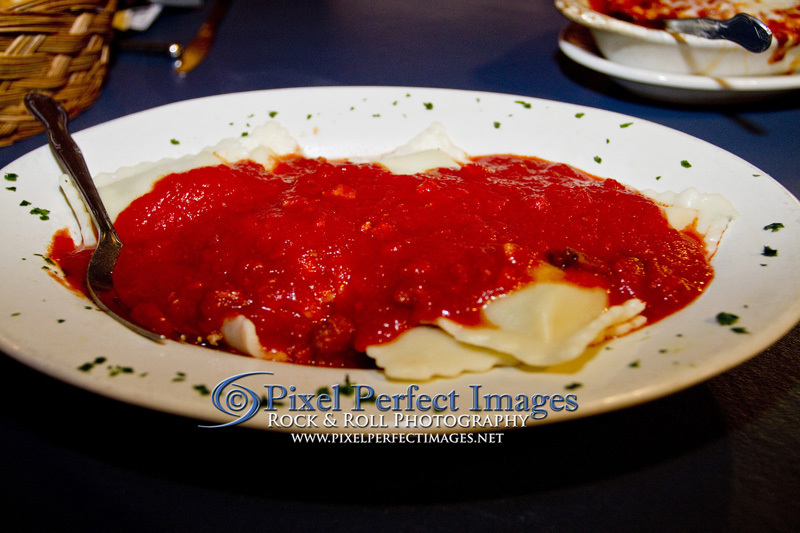 I also ordered another one of my favorites, the ravioli with meat sauce. Meat-stuffed pasta pillows stuffed covered with their awesome sauce, served with garlic toast. Simple in preparation, yet divine in taste. The meat sauce is so delicious I always order extra just to sop up with the garlic bread. Just enough tomato flavor, the right amount of garlic and basil, and their home made Italian sausage blend together perfectly for every pasta dish on the menu. But you don’t have to have the meat sauce, they also have an incredible Marinara, Creamy Alfredo, Butter and Garlic, Olive Oil and Garlic (for the health conscious), Pesto, and both red and white Clam Sauce as well. The overall value of Venice just can’t be beat. If you can forgo the fancy atmosphere of trendy places, the food here is outstanding and the service is on point. If you want a delicious home style Italian meal at very reasonable prices, Venice Pizza House is your place in the San Diego area. Forget Little Italy. Come to North Park, you will not be disappointed. 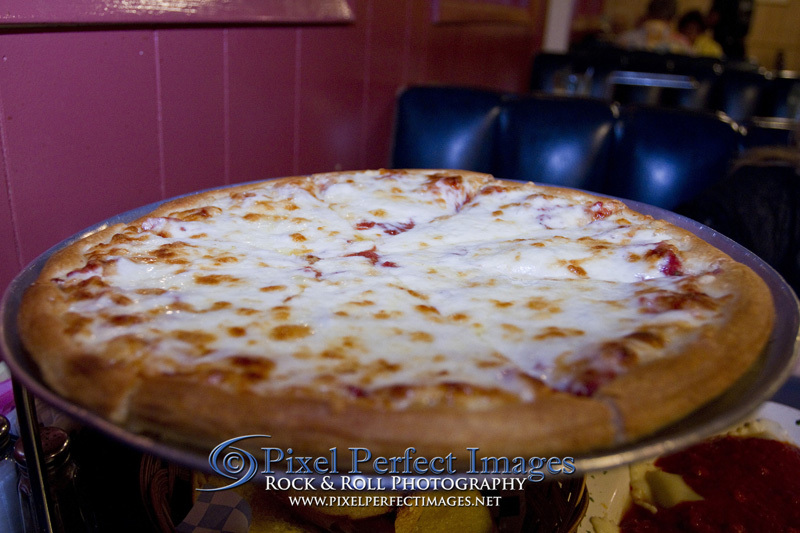 *Note* Venice Pizza House is closed on Mondays and Holidays, so plan accordingly!